Alliance for Cellular Signaling, 2001-2002. Frontiers in Science Program, 2001-2005. Agouron Kamen/Kaplan Fellowship for a 1st yr graduate student, 2003-2012. 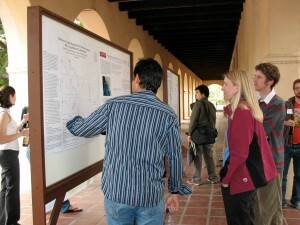 Graduate Student Fellowship in Microbial Ecology, 2009-2012. The Role of MicroRNA in Microglial Activation, 2010. Mitochondrial tRNA Maturation and Alzheimer’s Disease: Are they linked via HSD17B10-mediated amyloid-ß toxicity? 2010. Whole Genome Sequencing of Unaffected Individuals Homozygous for APOE*4 in Families Multiply Affected by Alzheimer’s Disease, 2013. Next-Generation Sequencing in Healthy High-Risk APOE*4 Homozygous Carriers in Caribbean Hispanic Families, 2016. Research and operational support, 2018-2021. Characterizing phosphorus contributions to Kalispell Bay, Priest Lake, Idaho, 2018-2019. Human Induced Pluripotent Stem (iPS) Cell-derived Organoid Studies of Brain Development in Lesch Nyhan Disease, 2019. The Agouron Institute also issues Small-Grants-In-Aid (SGIA) primarily for partial support of scientific research meetings in research areas of our interest.